Find real facts with library resources like CQ Researcher and Opposing Viewpoints. CQ Researcher publishes reports on important and interesting issues – everything from self-driving cars, to domestic poverty, to the changing movie industry, and more! Reports are thoroughly fact-checked and include citation footnotes, so you know where everything comes from and why it matters. There’s even a pro/con feature to acknowledge differing interpretations of the facts. If you’re a student, check out the “Hot Topics” articles – with the additional research resources included with every article, it’s a great place to start a research project! 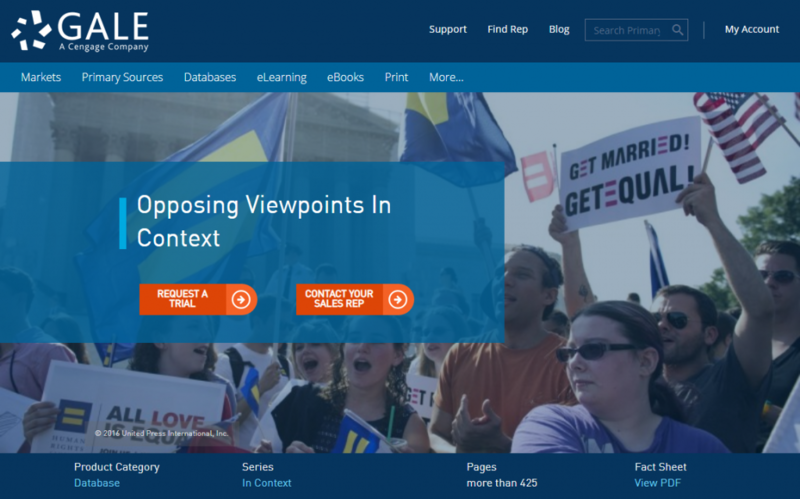 Opposing Viewpoints in Context, provided by Gale, is a research database for the social issues that are at the forefront of the public mind. Each topic has viewpoints, either in the form of articles from other sources with added commentary or articles created specifically for the Opposing Viewpoints collection, from both sides of the aisle. You’ll find supplementary photos, videos, and statistical analysis. It’s another great place to get a grounding in a topic that matters to you. Both are free, as always, with your library card – and the Digital Library is always open!